Apple is reportedly working on new ways to detect liquid damage in its devices, with an aim to cut down on the number of false warranty claims that are made by its customers. Anyone who owns a high tech piece of equipment knows only too well how gut wrenching it can be to watch helplessly as their pride and joy falls into a bucket of water or, if you’re really unlucky, down the toilet. It happens more often than you would care to realize, especially the toilet part, and Apple is well aware of the situation. While the company is known for its no fuss returns and warranty stance, it doesn’t want to get ripped off, either. Now it appears that Apple is working on a new way to tell when a faulty iOS device has met its maker thanks to the addition of liquid, and therefore rendering the warranty void. As things stand, anyone taking a device back to Apple for a warranty claim will see the genius inspect the iPhone, iPod or iPad with a device that allows them to see deep into the headphone jack. They’re not looking for fluff though, they’re looking for a small telltale sign of water damage. See, hidden inside is a color-coded liquid contact indicator that, obviously enough, changes water when it gets wet. 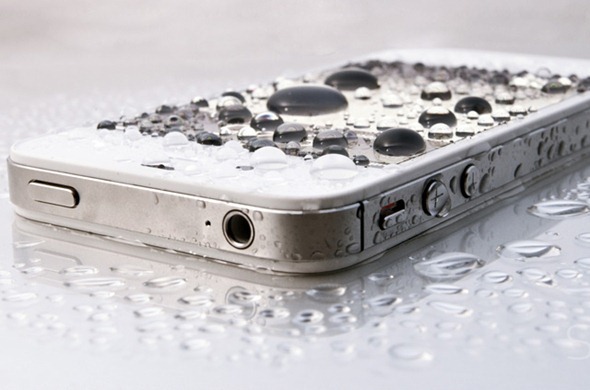 If your device shows signs of liquid damage, then you’re probably out of luck. The issue here is that these indicators have been known to trigger accidentally, particularly in humid climates. 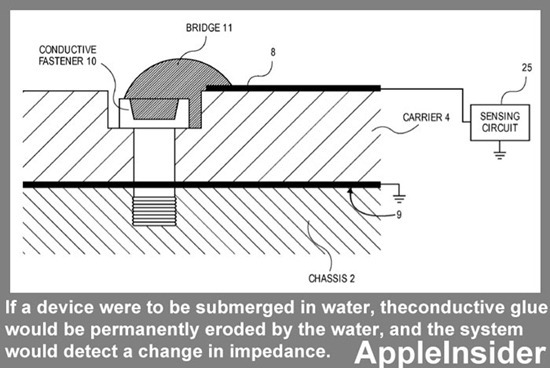 For that reason Apple is now working on a new way of telling when a device is liquid-damaged. 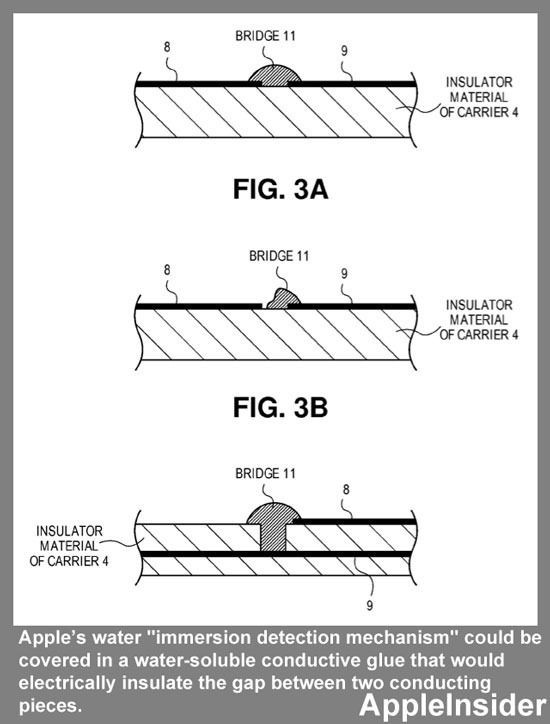 Patent applications by the firm show that it is currently looking at a variety of potential ways to retire the colorful indicators that are currently used in devices, in favor of a more high tech solution. Soluble glue that bridges two conducting pieces is one such solution. If the glue gets dissolved by liquid then the change in impedance would be detected and an error logged. Apple has also been said to be keen on completely water proofing its devices to avoid the issue altogether, though we don’t expect that to come to fruition just yet. Until then we’ll all just have to be extra careful when near anything wet with our expensive toys. Or hope that we get a really nice genius when we take a malfunctioning device back to Apple for warranty replacement!